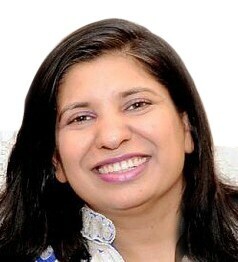 Welcome to Hamilton Smiles, the office of Dr. Reena Goyal. Creating and maintaining healthy smiles that inspire confidence are our top priorities! As your dentist in Hamilton, we offer a full range of the latest and most advanced dental procedures designed to meet the needs of every member of your family. A healthy and beautiful smile is not only an attractive asset, it’s also essential to your overall well-being. At our office, you’ll receive the finest quality dental care provided by an experienced team in an environment that is both comfortable and caring. Having an established reputation for excellence as a dentist in Hamilton, we use the most advanced techniques to provide our patients with outstanding results. Whether you need a checkup and cleaning, have a dental emergency or are in need of a comprehensive smile makeover, give us a call today. The terms dental crowns and caps are synonymous. If dental decay, cracked fillings, root canals, clenching or grinding the teeth have caused extensive damage to the underlying tooth structure a dental filling may not be a sufficient restoration. The only way to completely restore the cosmetic appearance and function of this tooth is often full coverage with a dental crown. The good news is that Dr. Goyal's completed dental crowns look and feel like a natural tooth. Losing a tooth due to injury, dental decay, or gum disease can happen. In order to avoid causing problems for the adjacent teeth and your overall dental health, it is important to replace the tooth that has been lost. This can be done a number of ways including the more recent procedure known as dental implants. Dr. Reena Goyal is expert in all phases of Implant Surgery including guided bone regeneration, subantral augmentation and dental implant surgery. After completing her doctors in dental surgery she completed Implant maxicource 300 hrs and certified in Hiossen surgical implant course. She has completed numerous complex implant cases with perfection. Dr. Reena Goyal is a graduate of New York University College of Dentistry (NYUCD) with a Doctorate of Dental Surgery (DDS) degree. She has been practicing general dentistry for over a ten year period in New Jersey, Pennsylvania & New York. She has completed a certification and hands on training on performing Implants, Invisalign, surgical procedures such as crown lengthening and frenectomy.